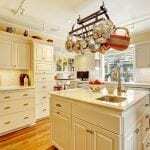 Kitchen renovations are one of the most exciting parts of a home renovation project. Since a kitchen can reflect any style and design of your choosing, there are no hard fast rules regarding how much your budgetary restrictions should be. 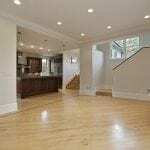 As such, the decision concerning how you splurge or save your money on the renovation process will be dependent on what is important to you. 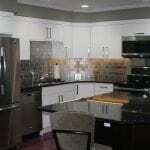 For instance, an individual that loves to cook can justify splurging on high-end appliances of the professional range while an entertainer will more likely invest in necessities such as coolers and warming drawers. 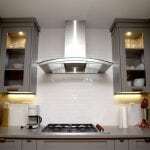 In any case, you want to make sure that you are getting the best out of your investment by keeping the cost of a kitchen renovation in check. Ensuring that your plan is solid from the very beginning will guarantee that the renovation process is smooth and that you will not be tempted to spend money on surprise expenses. 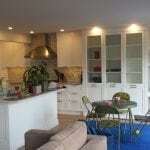 If you sit with a designer, he or she should be able to provide you with a winning strategy to allow you to get the kitchen of your dreams while still saving money. Moving any mechanics and electrical can be costly, not to mention that the job will have to be handled by a trained professional. Keeping the appliances and the electrical as it is will save you thousands of dollars and it will also reduce the length of the project significantly. 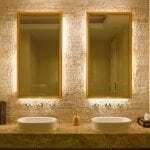 If you are interested in executing a specific look, try and see if there is any way that you can mix up your appliances with a combination of high and low-end equipment. You must allow yourself to remain open-minded throughout the process so that you can make sound decisions that will help you cut costs. 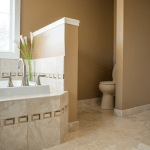 If you want to switch up your cabinets but cannot afford to get brand new ones or custom ones installed, then you should seriously consider resurfacing. 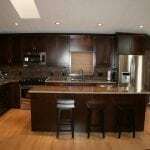 It involves keeping the framework of your old cabinets intact and replacing the fronts, doors and side panels with new ones. 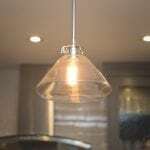 Adding light fixtures is a great way to give your kitchen space an entirely new look inexpensively. Light can help to make your kitchen look different in terms of design and aesthetics and it can also make your room appear bigger. 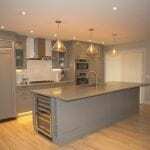 As a professional kitchen renovations specialist, Golden Acre Renovations is here to help with any and all of your kitchen renovation questions. 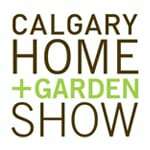 Be sure to contact us and set up your free in-home consultation to get your project started.